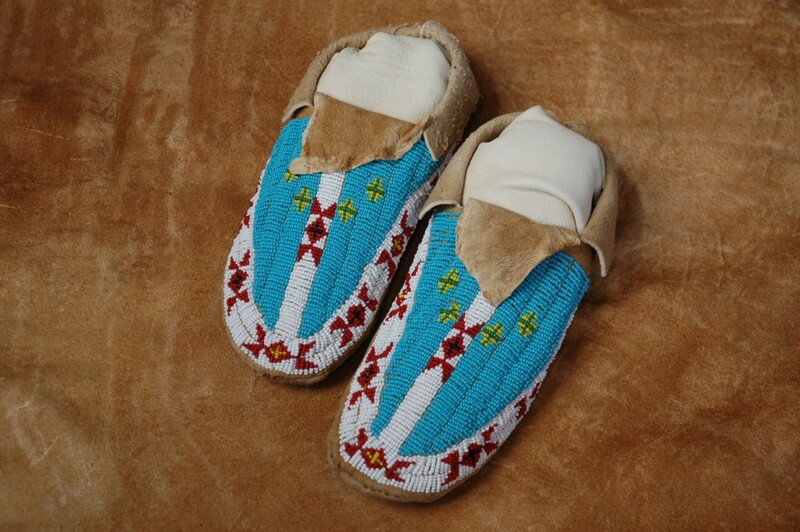 These fully beaded moccasins are made with real brain tan deer and sewn with thread. They are available in a variety of sizes. The ones pictured are a size 9. Please allow 4-6 weeks delivery.